Ningbo YT has a former company name was Ningbo Wan Bang Stationery Co.,Ltd. We changed our name from Oct 2012. 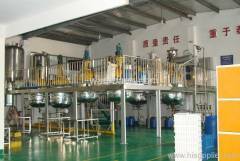 Ningbo YT / Wan Bang is a medium size glue and corrector manufacture. It locates a coastal city - Ningbo with 100 staffs, responsible for R&D, Production, QC, Sales and Customer service. The parent company was founded in the year of 1996. Produced adhesives and cements for home repair work, includes cyanoacrylate adhesive, contact adhesive, universal glue, pvc pipe cement etc. In 2004, factory moved to a new place where covers an area of 13,800 square meters, 8 buildings, 7 workshops, 3 professor and chemists with modern equipped laboratory, over 30 long-term cooperating customers, export 95% products to 6 continents and 20 countries. 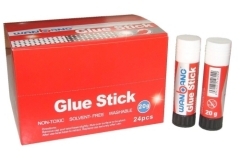 The annual exporting turnover was US$5 millions in 2009 includes 60% Glue, 25% Correctors and 15% others. We welcome all of company visits prior to cooperation. GSV (Global Security Verification) participater. C-TPAT supply chain security compliance program.